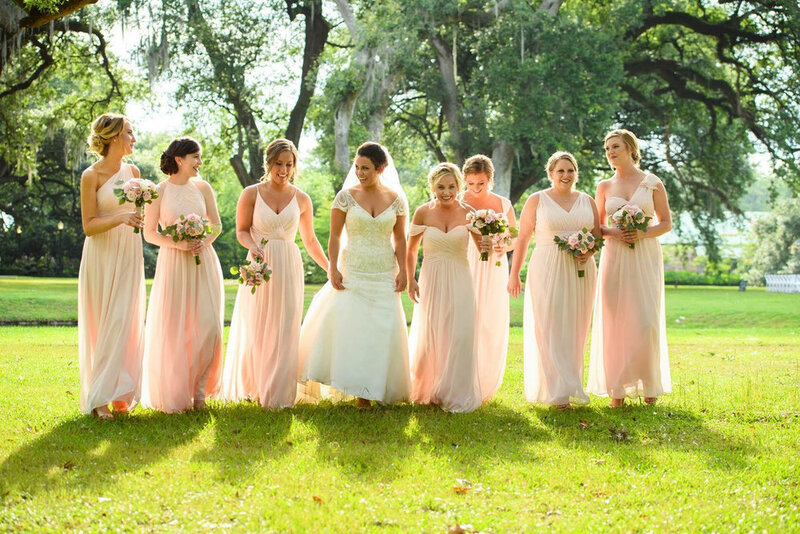 It may be almost winter, BUT we are reminiscing about this beautiful May wedding of Keri and Garrett’s at The Houmas House. Eye Wander Photography did an incredible job capturing the beauty of their wedding! 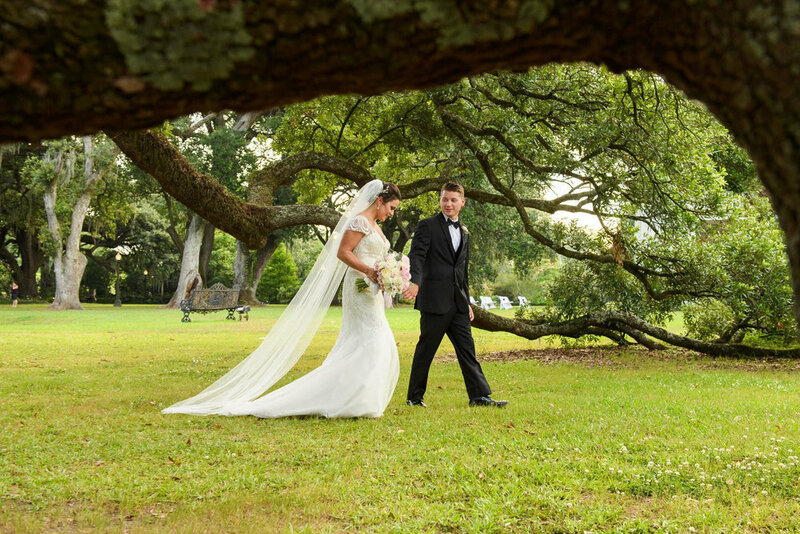 Keri and Garrett both prepared for their big day at The Houmas House with the wedding party. Tina with Verde Beauty Studio and Teresa Hamrick did their magic with the ladies and just look how gorgeous they are! They all rocked a variety of updos that showed off their necklines of their beautiful dresses. Keri gifts her bridesmaids with robes to get ready in, personalized hangers with their names on them for their dresses, bath bombs, and earrings all from different Etsy vendors. Keri’s gown is a Justin Alexander mermaid style with a sweetheart neckline from Maggi Bridal in Raleigh, North Carolina. 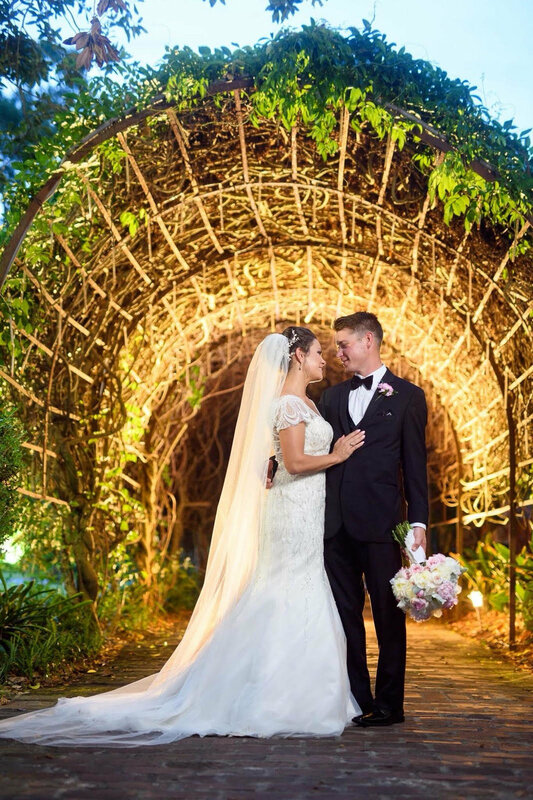 She accented her gown with cathedral veil, teardrop earrings, gold and rhinestone hair vine, and blush heels by Badgley Mischka, and a garter, which was her “something blue” for the ceremony. For the reception she opted for sparkly tennis shoes by Kate Spade and her garter, which was her something blue.